1/35 Net mesh dimensions - 75 x 42 mm Discounts Apply ! 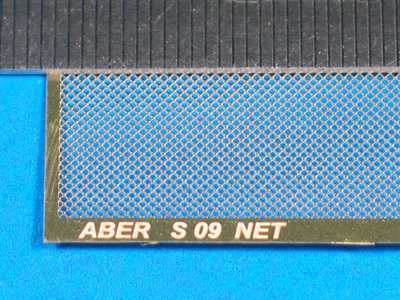 ABE3509 - 1/35 Net mesh dimensions - 75 x 42 mm. This mesh can be cut and used for a wide range of grills for all 1/35 tanks and some smaller 1/24 or 1/25 scale tanks that need a custom grill made. Aber part #S-09.